A powder-coated spider fitting in white adds seamless style to this white fabric lamp shade with empire lines. Revive a table or accent lamp with this charming mushroom pleat lamp shade. The shade comes in a white fabric and has a dramatic empire shape. 6" across the top x 14" across the bottom x 8" on the slant. Empire lamp shade from the Brentwood Collection. Mushroom pleat, white fabric, self trim top and bottom. I had one older wall lamp and a brand new one. I loved these shades on both of my lamps, but they were different sizes and I couldn't match either size, so I got 2 of the same size! Size and color were what I need. clipon, pleated, just the right size. This was a replacement shade for a wall fixture. The previous shade cracked and broke on the inside layer. This was as close as I could come to original. I needed a replacement shade for my lamps. Only place that sells this size shade!!! replacement for aging lamp shade. this is as close as i can find anywhere. Best match to replace ones we have. To replace old torn pair. This looks like good match. Thanks. Do you have a pleated shade 9 x16 x 14? BEST ANSWER: Hi - unfortunately, we do not offer a pleated shade with those exact measurement. But, I have added a link below to some other possible options. Does it matter if the top measurement is larger than the lamp shade’s measurement? BEST ANSWER: Hi - not sure what you mean. If you are replacing a shade, and want a similar look, you can go slightly smaller or larger measurement-wise and it will be fine. Do you have a white lampshade 6" diameter on top, 22" diameter on bottom and 1 3" high? BEST ANSWER: Hi - I am sorry, we do not offer a shade with those exact dimensions. But, I have added a link below to some other possible options you may like. I am replacing two shades with a 7 in top on by 13 bottom 7 inch slant and 6 inches high for swing arm wall lamps. Will this shade work? BEST ANSWER: Those measurements are fairly close. I do not see why not. I need a shade that measures as close to these measurements: 11 inches top, 18 inches bottom and 8 inch slant ? BEST ANSWER: We don't carry any shades with the exact measurements you are requesting however, we do have some styles with similar measurements with a taller slant. If you would like some assistance in selecting the best lamp shade for your lamp, please contact one of our lighting specialists via phone, email, or chat. They can assist you in selecting the best design for your lighting needs. I'm looking to replace my accordion coolie shades that measure top diameter 7, bottom 18 1/2 , slant 113/4 or 12? 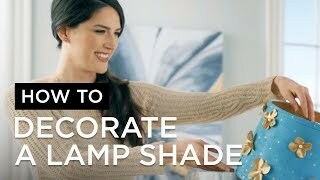 Lamps Plus can supply you with a lovely shade AT AN UNBELEEEEEEEEEEEEEEEIEVABLE PRICE. HOW DO I KNOW? I PURCHASED ONE FOR MY LAMP. Do u carry a lampshade with fringe? Top opening is 7.5 inches. I'M ORDERING THREE MORE AND THAT SAYS IT ALL! Very nice shade and color! The shade is excellent. However, it's a little short for our lamp (it should be another inch or a little more taller) but it's the closest white shade (the top and bottom dimensions) that we could find on the Internet to the original shade. Very attractive and simple. Fits well with almost any room decor. This shade was not the right size for my lamp. I returned it and ordered a new lamp which I have received and like since it was like the one I had to replace. The only problem with the new lamp is that it is slightly taller than my former lamp. Hi Doris E., sorry to hear that the size of this lamp shade was not right for your lamp. 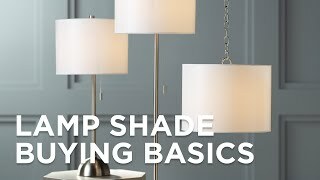 We try to keep the product information as accurate as possible when it comes to the dimensions of our shades, and our customer service team is always available to provide personalized suggestions based on the type of lamp shade you need. Should you need any help in the future, please reach out via phone, email, or chat. Thank you.